If you put Weh Island in Indonesia on your bucket list, be sure to read this guide on what to do once you’re there! Pulau Weh is a destination where you can regenerate and explore for week, as I did, stying on the island for more than one month. Weh Island is accessible with a ferry from the city of Banda Aceh i Sumatra, which holds an international airport. 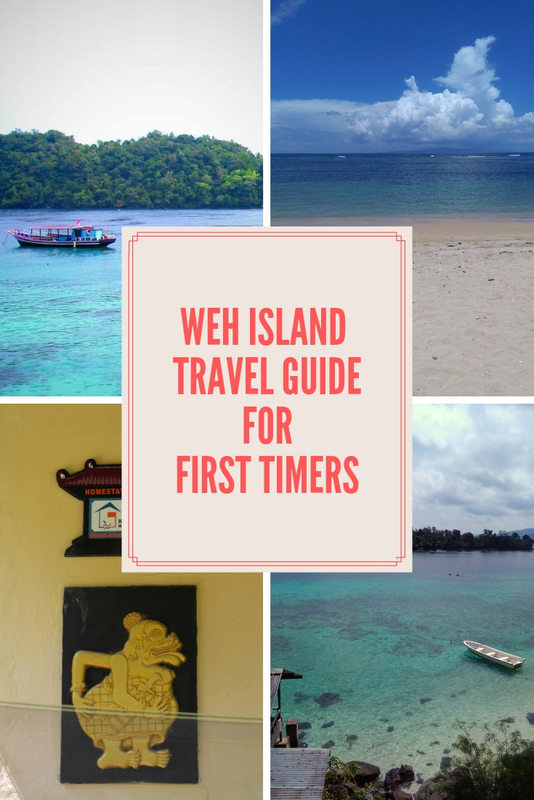 Go ahead and look at my guide to all the nicest activities to perform on Weh Island. 1 Explore Weh Island with a motorbike. Rent a motorbike in Iboih Beach. If you don’t know how to ride one, hitchhike from beach to beach. Locals are very friendly and there are always a number of people going up and down the island. There are three main beaches you can check out for a stroll: Gapang Beach, Iboih Beach, and Long Beach. Each of them has a different vibe and different activities but you’ll find accomodations on all of them, and places where you can eat. Long Beach is the most relaxed. Iboih Beach is the place where everything happens, it’s especially dynamic in the evening and at night. They are all a few minutes’ motorbike ride from each other. During your ride (I’m afraid the sun is too hot to walk the distance, and there’s no shade on the road), enjoy the view of the sea. This is my favorite view on Weh Island. Going from Gapang beach in the direction of Iboih, past the three main beaches, the road gets steeper and you will see it to your right! It’s impossible to miss it. That’s where I took the photo. From there, you could hike down to the sea and take a left: keep walking among the rocks until you reach a crystal clear lagoon perfect for snorkeling and for pretending you’re on your own private paradise. Snorkeling in Pulau Weh waters is only second to diving. Take your mask and fins to Iboih Beach waters. 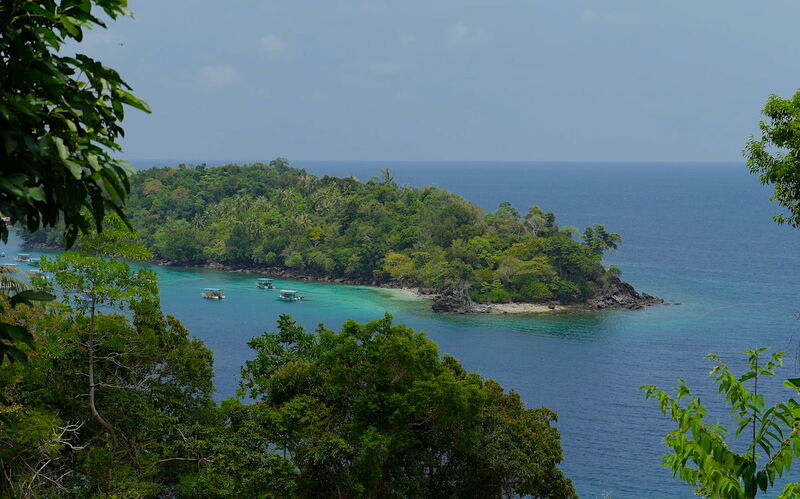 If you feel brave and athletic enough, sporty, try the 20-some-minutes swim from Iboih Beach to Iboih Island. You can snorkel all around the tranquil Iboih Island. Other great places for snorkeling are the rocky bays right below the viewpoint I talked about in the previous paragraph, and the bay of the Stone Park cabins, on the way from Iboih Beach to Long Beach. You can also snorkel in front of Long beach and Gapang Beach. There might be dangerous fishes in the water, of course, like the stone fish. For your own safety, use your water shoes or fins. It’s good practice to avoid touching the reef and the rocks underwater. 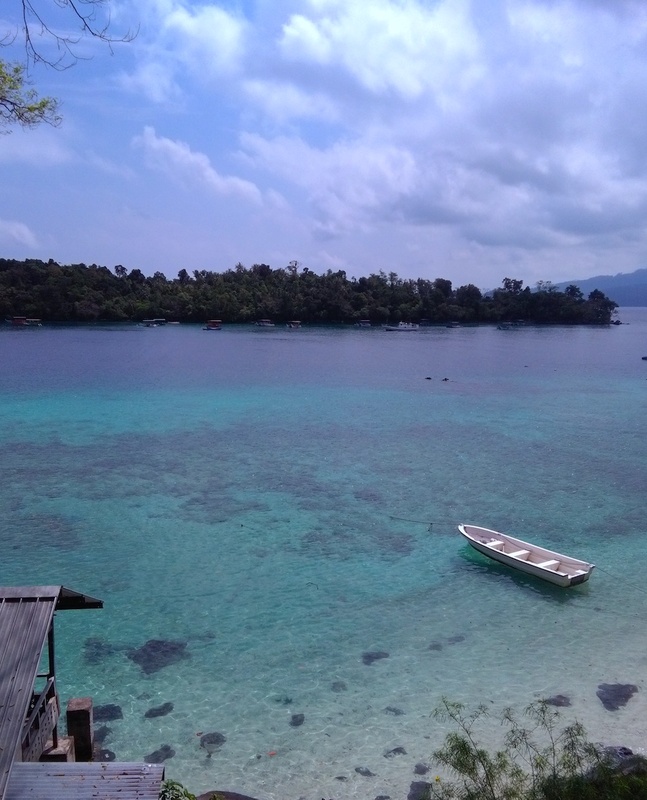 If you love diving, Weh Island is the right place for you. I wrote a post about diving and diving centers on Weh Island here. To read more about my diving adventures, read about Apo Reef. It takes 10 minutes to hike down to “Secret Beach”. You will find a path between the bushes, on the right side of the road going from Long Beach to the viewpoint. It’s easy to spot the path: as sunset approaches, people leave their motorbikes on the side of the road and go down to enjoy the mystical colors of the landscape. 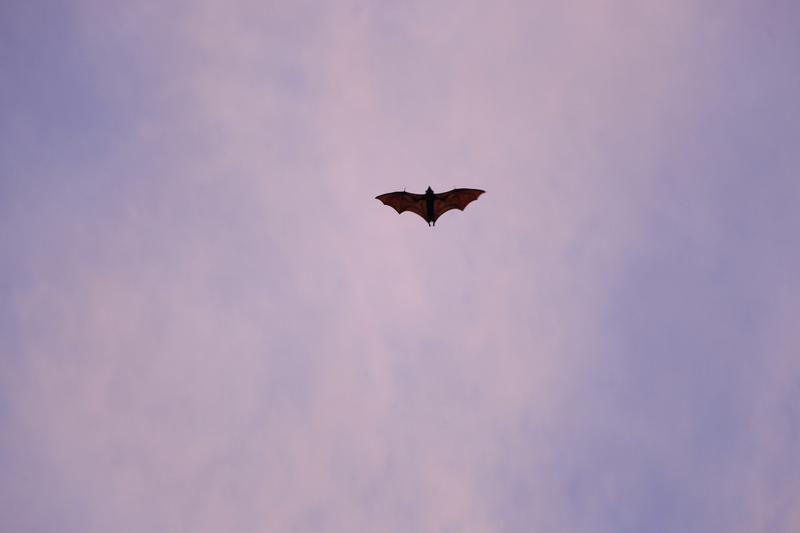 You will spot huge bats in the sky over your head, totally uninterested in you, but beautiful and graceful. 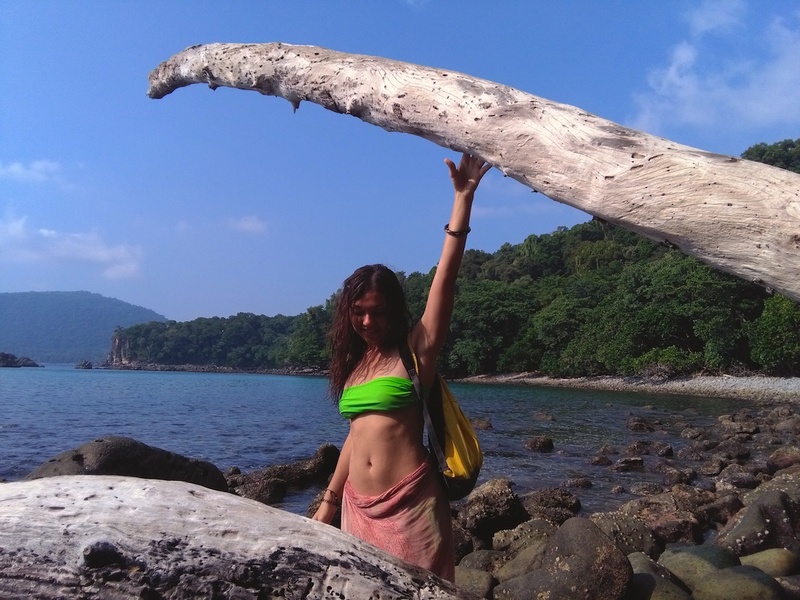 Secret Beach in Weh Island is a stretch of white sand with a few trees for shade, and it’s surrounded by rocks. There is no shop or house down there, it’s all nature. You are still able to see fossils and corals brought on shore by the Tsunami of 2004. The locals remember. This is one more reason to visit and support Weh Island. The road from the main beach areas to Sabang town is a little adventure by itself. A 30-minutes ride with stunning views of the sea and the coast. The road crosses jungles with majestic trees, and at one big turn, you’ll meet the local monkeys. They are waiting for fruit to snack on or… to steal! I would never stop there, they come too close and are aggressive! Weh Island’s monkeys are more aggressive than the ones you meet in other places in Indonesia, like the Monkey Forest in Ubud. On the way to Sabang, the locals sell fruit, run small restaurants that you might want to stop and check out, and there are a few mosquees. In Sabang, there is a nice fruit market with all the papaya and the fish that you’ll ever need to be happy. Sabang has a town/market vibe that you’ll need for sure after a few days on the beach. Or maybe just because you want to try the local street-food dessert, “martabak”. Iboih beach is the hub of the local nightlife (hey, nothing too loud or crazy here on this tranquil Muslim island!!). Cafes and restaurants and a few souvenir shops. It’s easy to connect with the locals and other visitors here. There are also dive shops and small markets, atms, and all you need to feel “social”. I’ll reveal my favorite places on Iboih Beach in a bit. 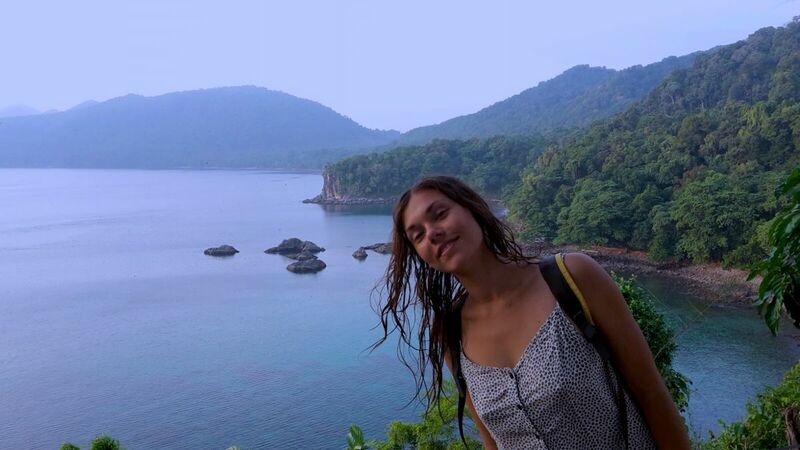 I can’t say it too many times: it’s impossible to feel lonely on Pulau Weh! The friendliness of the locals and the sense of community that can develop here, it’s really something to consider. If you need a hack on where/how to make friends on Pulau Weh: take a snorkeling trip with a dive shop, eat dinner at Norma’s, visit Monster Divers in Gapang Beach and start a conversation with one of the owners, then spend the evening at a cafe like Olala in Iboih Beach.